Looking for the most affordable or cheap rate for photo booth rentals? Look no further. Original quote for the photo booth starts at 700 dollars. If you book the photo booth with a wedding package offered by Roddy Chung Photography, the 200 dollars discount will be applied towards the total. It is the best way to ensure all your guests will have the most fun at your wedding. 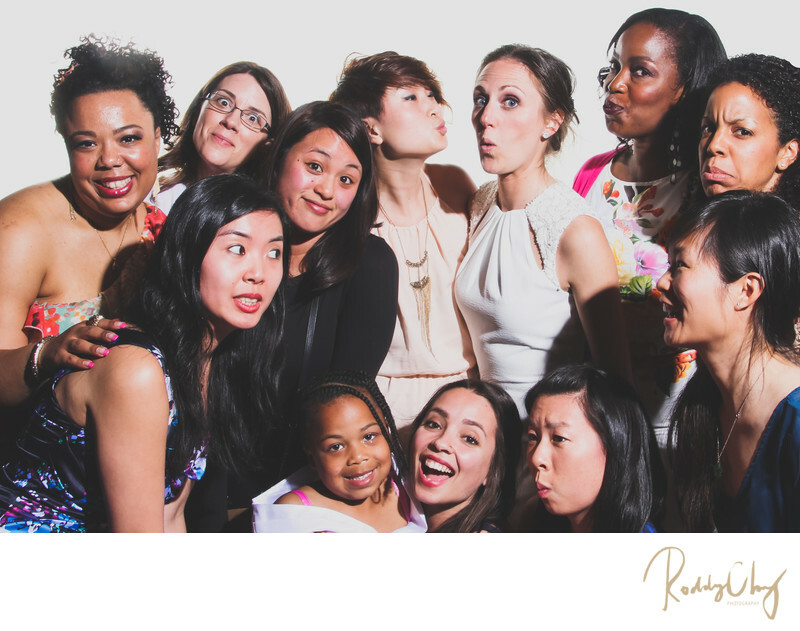 Even if without the wedding package, our photo booth rate is still the most competitive one in the Seattle area. This booth image was taken at the Golden Garden Bathhouse in April, 2014. It was pouring that night, with limited space inside the venue where the guests had nowhere to walk outside to, the photo booth was obviously a popular hit. It actually made it slightly difficult for me to get the bride and groom out for a night raining portrait because Sarah got distracted so well by the photo booth itself! They were just having way too much fun with the girls. Even after my coverage ended after photographing the bride and groom' exit from the venue, I had to wait a little bit more to finish packing up the gear and all the equipment because people were still taking pictures at the photo booth.